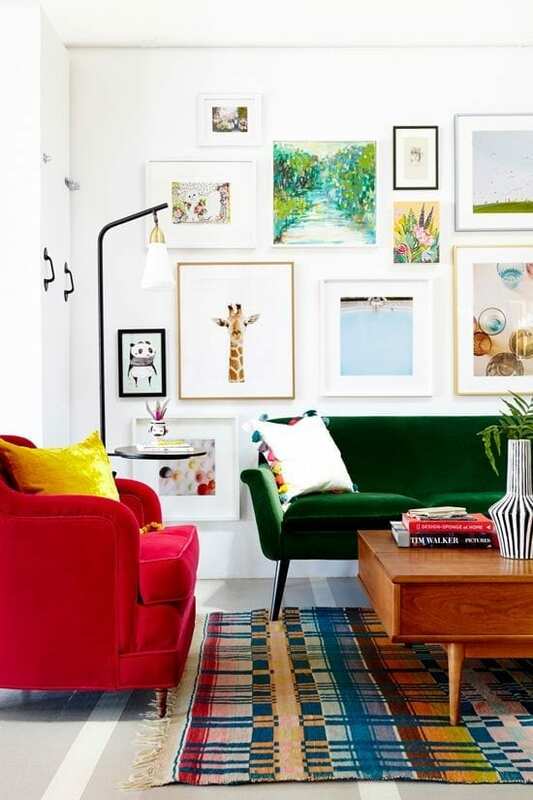 One of my big passions, or shall we say obsessions is collecting fantastic examples of wall art displays over on my Pinterest Wall Art board. And it would seem that many other Pinterest fans are doing just the same by liking and sharing many of these images. 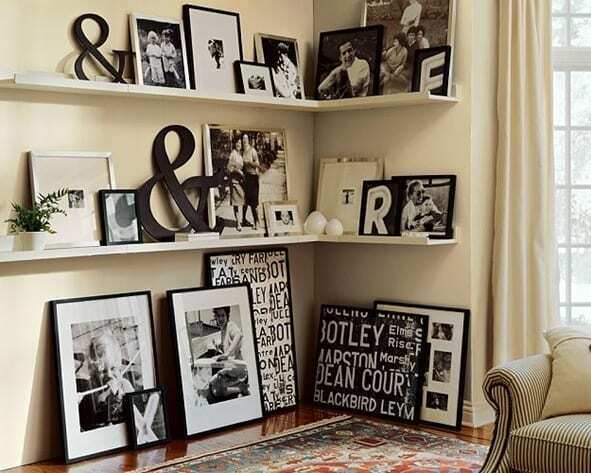 So I thought it would be a nice idea to put together this post showcasing some of the most popular examples from my board for those of you who don’t use Pinterest and are looking for some inspiration for your next decorating project. 1. Love this colourful wall dislplay unified with pink, yellow and blue. Very cute. 2. 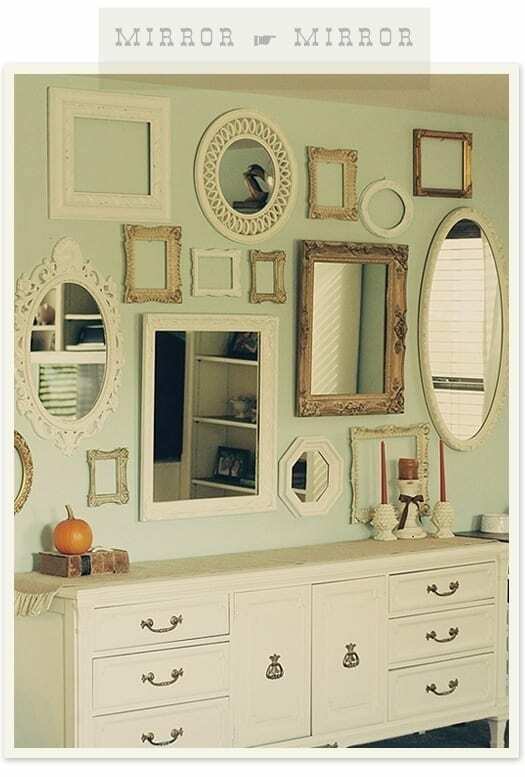 Such a great idea for decorating in a corner. I can see many people making use of this idea. 3. 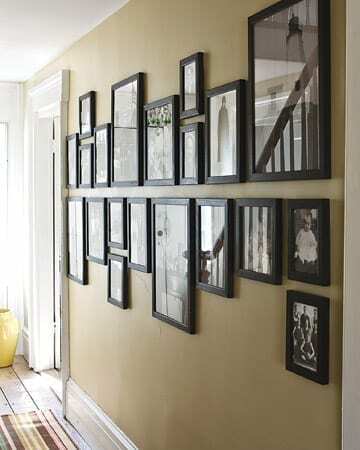 This idea of using the midline as a guide for creating your wall collage is a great one. 6. 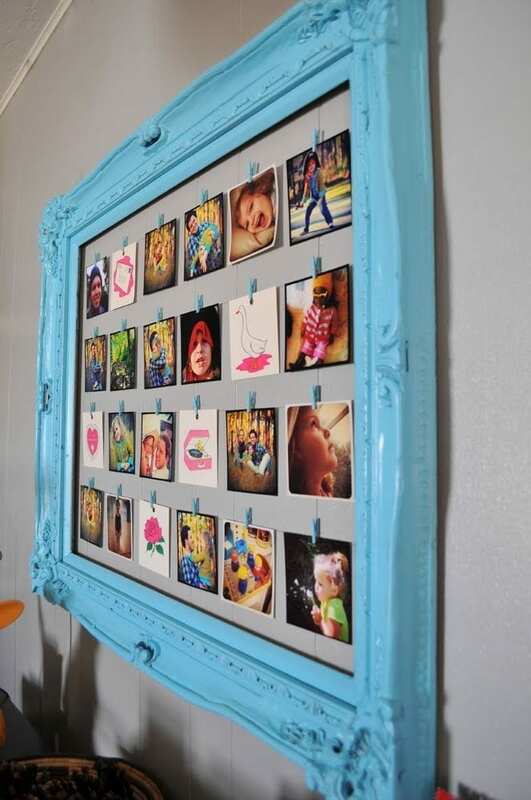 Different size and colour prints can be displayed in the same coloured frames for a cool look. 7. 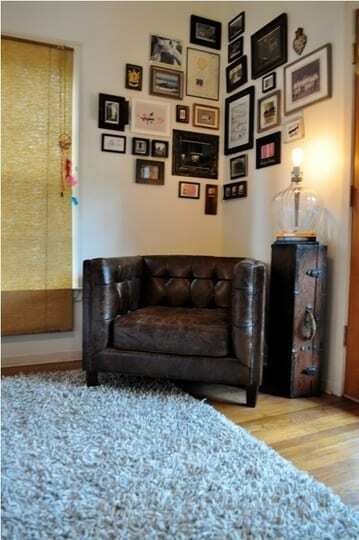 You can make great use of a small space with a creative wall collage display. 8. Just one frame and lots of individual images that can be changed and updated. We love this idea! 10. You might think that no rules have been applied when creating this collage but look closely and you’ll see most of the images are spaced similarly from each other. It doesn’t matter what images or frames you use, just be creative. 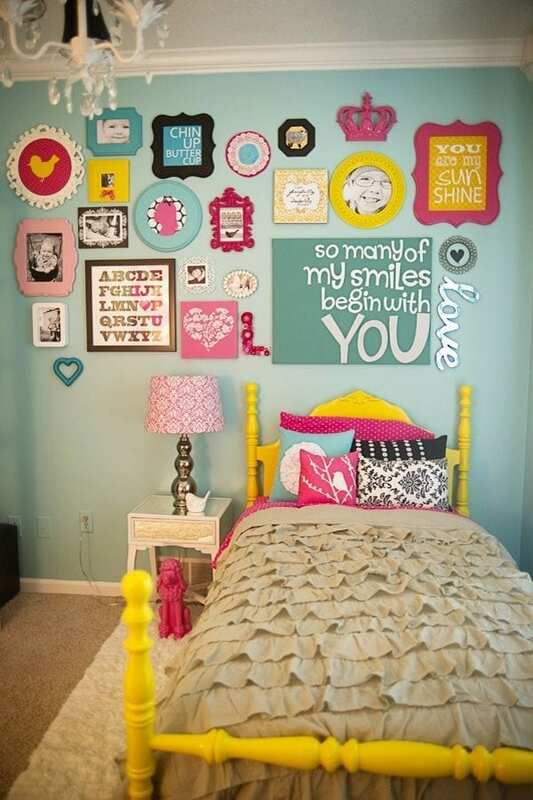 You can find lots more wall collage and wall art display ideas on my Pinterest board. I love this post. 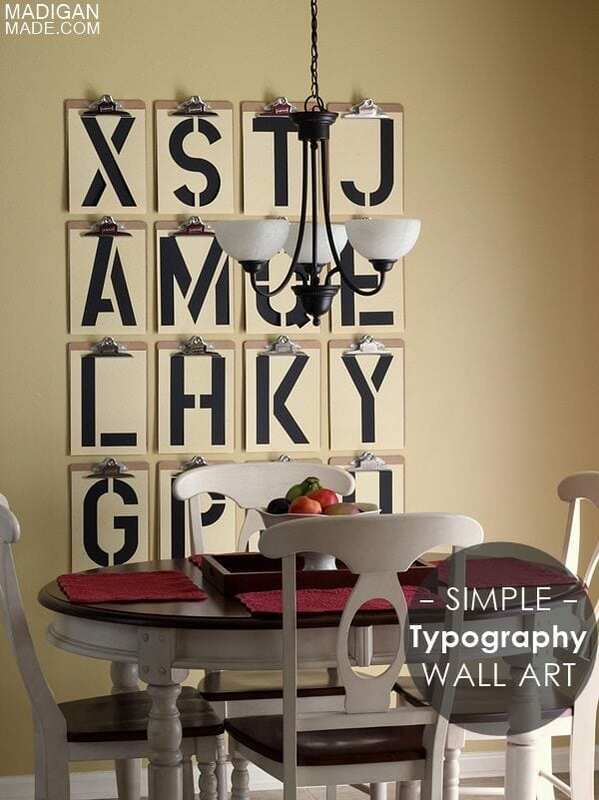 Wallpaper is just not for me but I love quirky ideas for cool wall spaces. Not to decide what to do with all the ton of white walls in our new house. 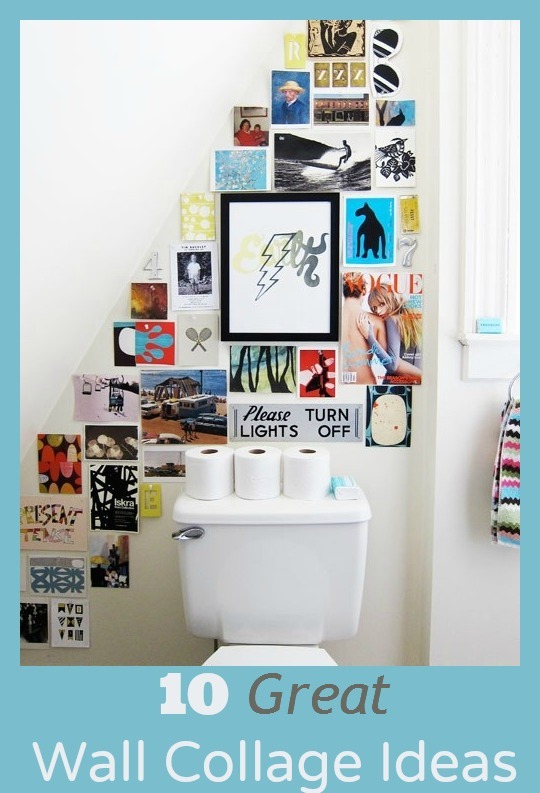 I know what you mean, wallpaper isn’t for everyone but I love these collage ideas for adding some really personal interest to your walls. Good luck!! Oh what gorgeous images, I too love this look, it really appeal to the quirky side of me. I think I need to be a little bolder though, as I think the bolder the better with this look! Where did you get the bedspread that’s on the yellow bed? My daughter wants one like it. Thanks!